Welcome To The Miles Team Erica! We are thrilled to announce a new addition to The Miles Team! Erica Pentecost has joined our team as our new Transaction Coordinator. 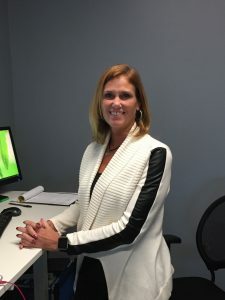 Originally from Columbus, Ohio, she has worked as an Administrative Assistant for the last 7 years in the Insurance industry where she obtained her Property and Casualty Insurance License while managing an office of 15 selling agents. Erica moved to Nashville 12 years ago and has 2 sons- Mitchell, who is a junior at Ravenwood High School in Brentwood and Russell, who is in his second year at the University of Kentucky. In her free time she enjoys vacations to the beach, hiking, golfing and spending time with family and friends. Welcome to the team Erica!! !